Send us your digital images of school sites and events. 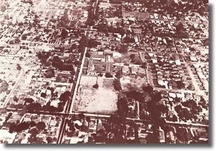 Aerial view of Longden School ca. 1945: We wonder whether any tears will be shed when the current building goes away. Oak (TCJHS), c. 1950. TCHS, 1956, as they appear in 2014. 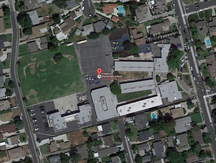 Only one school building in the photo predates the creation of TC Unified School District in 1954. 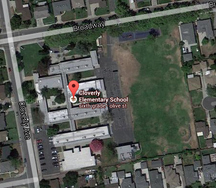 Opened in 1949, Cloverly was the second school in the South Santa Anita (K-6) District. Opened in 1950, Emperor was the district's third elementary (K-6) school. 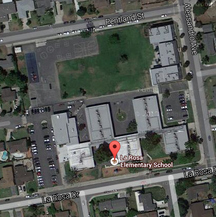 Opened in the early 1950s La Rosa was the last elementary school built by TC schools.